In 2011 Mary Constantino was offered an Eagle Scholarship by Kamitei. As a student of Kainam she then left Karatu and went to Arusha to attend a boarding school. This year she scored A’s in all subjects in the national exam. She was also the best maths student of her class and the first student in the genius competition exams. What’s more, she was a good adviser to her fellow students. 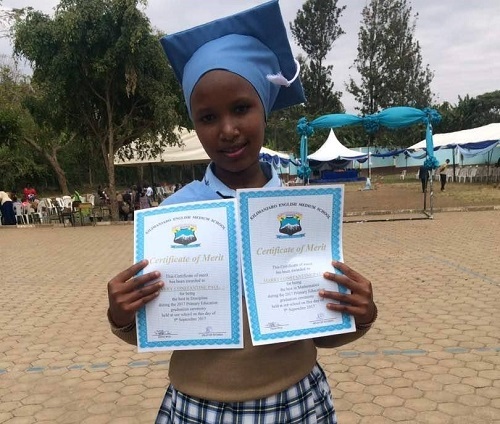 As a result, Kilimanjaro English Medium School offered her a scholarship to Form 4! And visit our Facebook page if you wish to receive more frequent news updates.